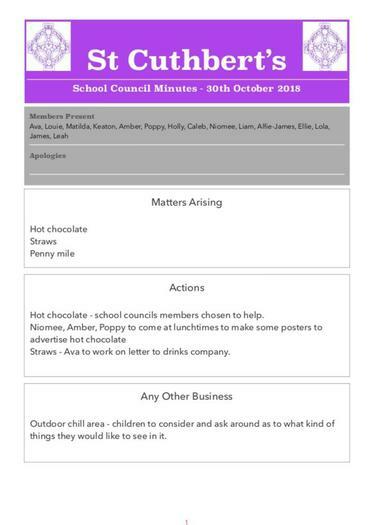 The school council is a group of children who work to make improvements to the school and our school environment. We look at things we could improve and hold weekly meetings to discuss what we want to do. We all get a chance to speak and give our opinions and when we can’t agree we vote on the best ideas. 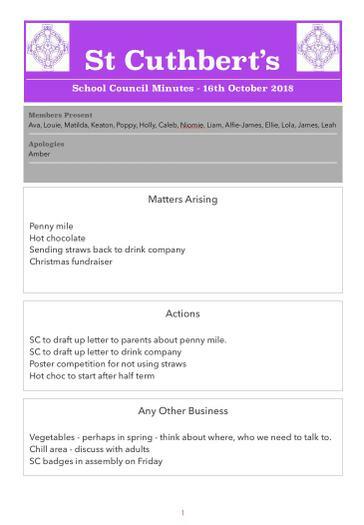 We take minutes from the meeting and we display them on the School Council display board and we email a copy to Mrs Smith who then gives us her thoughts and opinion. 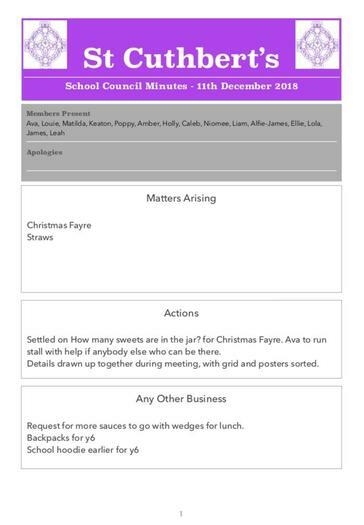 How often does the School Council meet? 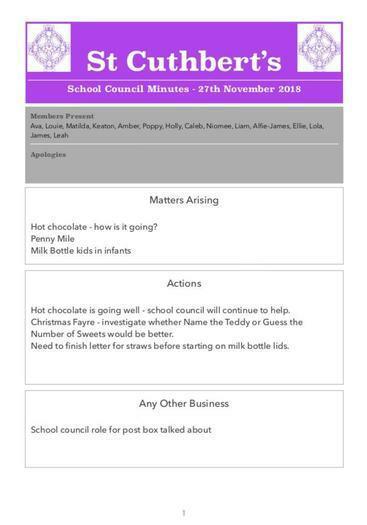 School Council meet every other Tuesday at 12.30 in the Year 1 classroom. 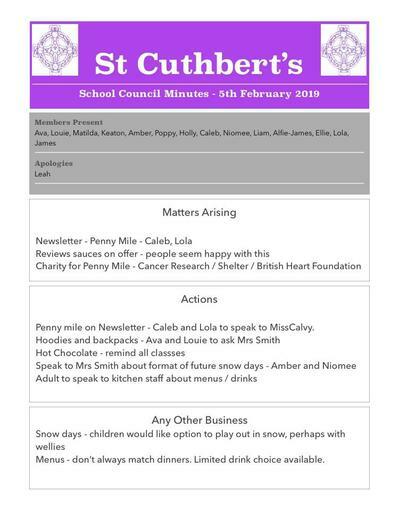 All classes from Reception to Year 6 have 2 representatives who take part in the discussions to ensure that every child in school has a means of sharing their ideas. 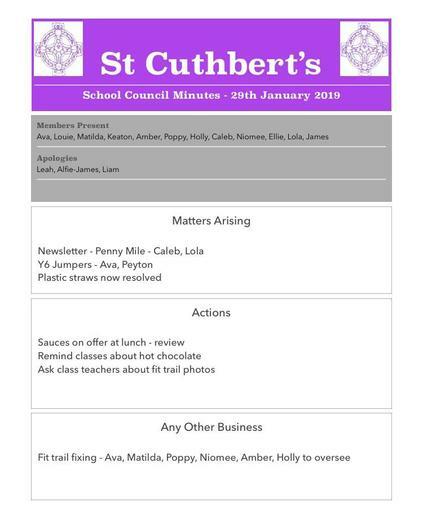 If you have a question you can speak to your class representative or write it on a post it and put it in the suggestion box. 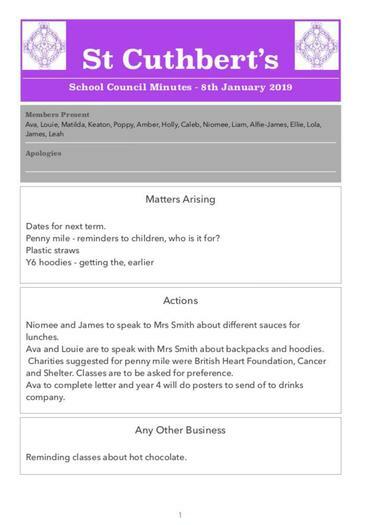 Each year we run an election campaign and the children in each of the classes vote for 2 new representatives. PSRP vote for one representative. 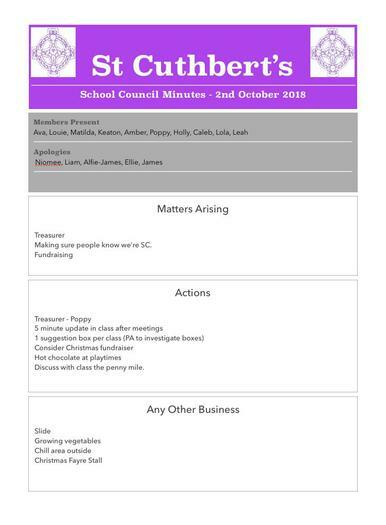 These children speak at School Council meetings about things their class is interested in. They also report back to their class after each meeting.